*iFit® wireless technology built in–no module required. Access your iFit® account from your Enabled exercise equipment, computer, tablet, or smart phone. Annual membership fee required, sold separately. Google Maps™ is a trademark of Google, Inc.
Swipe through your speed, time, distance, calories burned, heart rate, and incline stats. Now you can watch your fitness progress all in the same place. 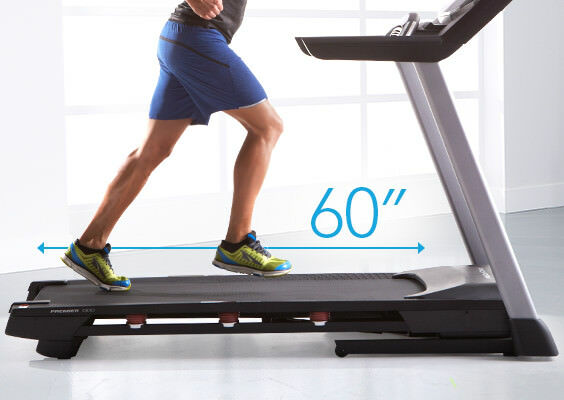 The 60-inch length gives your legs plenty of room to stretch out your stride. And the 20-inch width allows your upper-body extra elbowroom. To ensure our treadmills are top quality, we test each belt for one million cycles at double the user weight before release. 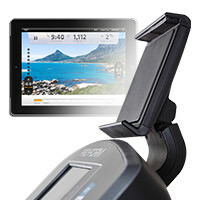 This iFit® Coach Ready™* treadmill automatically adjusts the incline to recreate trails from Mongolia to Ecuador. Customize your training with unlimited workouts designed by certified personal trainers. This ever-growing workout library offers programs that progress with you from beginner to marathoner. Subscription required. We consider incline training the treadmill game changer–you can realistically condition your body for those challenging uphill routes. The Premier 1300 offers powered, automatic incline adjustability. When you train with incline, you know you’re giving your legs the best workout possible on a treadmill. 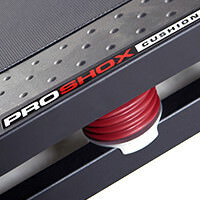 The Premium 1300 treadmill features ProShox™ technology, which is an air-based absorption system that responds to your movement, changing the elevation of the deck with every step. This keeps your muscles engaged throughout the entire motion, while reducing impact with every step. Get the elite training you want with 34 built-in workout apps designed by a certified personal trainer. Each workout automatically adjusts your speed, incline, and decline to maximize your results. Accelerate your training with QuickSpeed® controls. Boost your speed incrementally up to 12 mph and get the intensity you need for any performance workout. Our built-in full-color touchscreen display connects you to what you care about most. It’s easy to check up on your workout stats as you go, too. 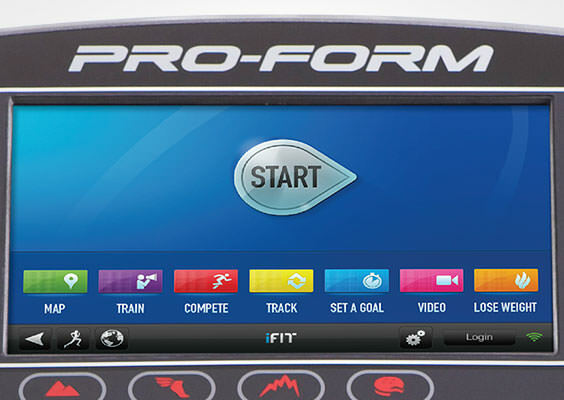 Swipe through your speed, time, distance, calories burned, heart rate, and incline stats. Now you can watch your fitness progress all in the same place. 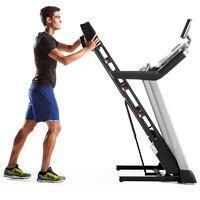 This patented, revolutionary design allows your treadmill to fold vertically for storage. To make it even easier, this treadmill includes a powerful shock that will help lift the deck with an easy push. After you have the treadmill folded up, use our built-in transport wheels to move it easily from room to room. Rock your workout to your favorite music. Simply plug your iPod™ or MP3 player into the Intermix Acoustics™ 3.0 Sound System and listen to incredible sound through two 3-inch speakers. Grab hold of in-the-moment heart rate monitoring. 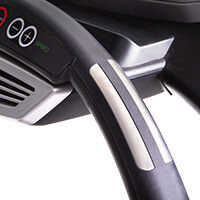 These two hand-grip sensors are conveniently built in to the handlebars. In a couple seconds, you’ll be able to see your heart rate at any point in your training. This monitor is compatible with Bluetooth® wireless chest straps; sold separately. ** The Bluetooth® word mark and logos are registered trademarks owned by Bluetooth SIG, Inc. and any use of such marks by ICON Health & Fitness is under license. Other trademarks and trade names are those of their respective owners. Keep cool with this built-in fan featuring high and low speed settings. Quick console controls allow you to adjust the speed at any time. 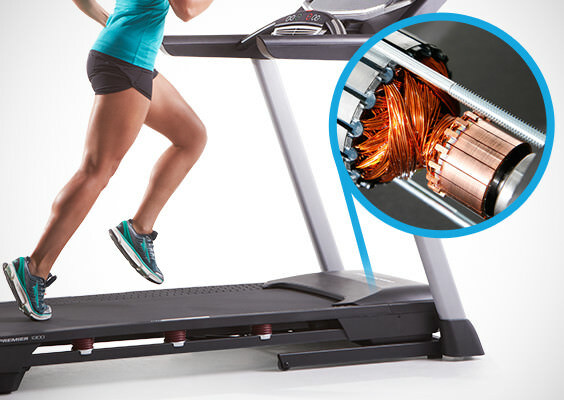 This treadmill accommodates up to 350 pounds.